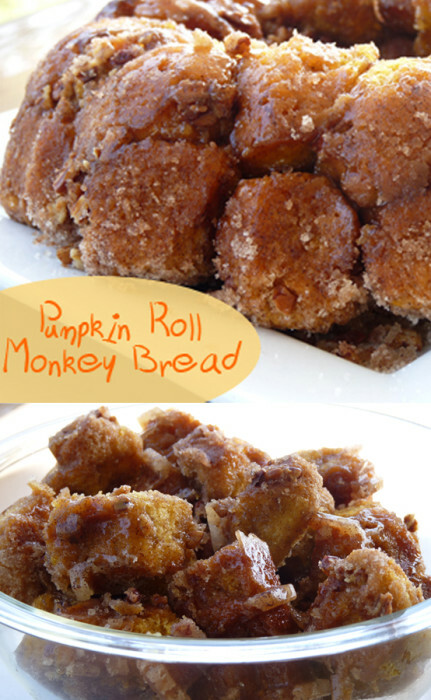 Pumpkin roll, meet monkey bread. If you love both treats, there’s no need to enjoy them separately anymore. The measurements listed above are for a single batch of pumpkin roll monkey bread. 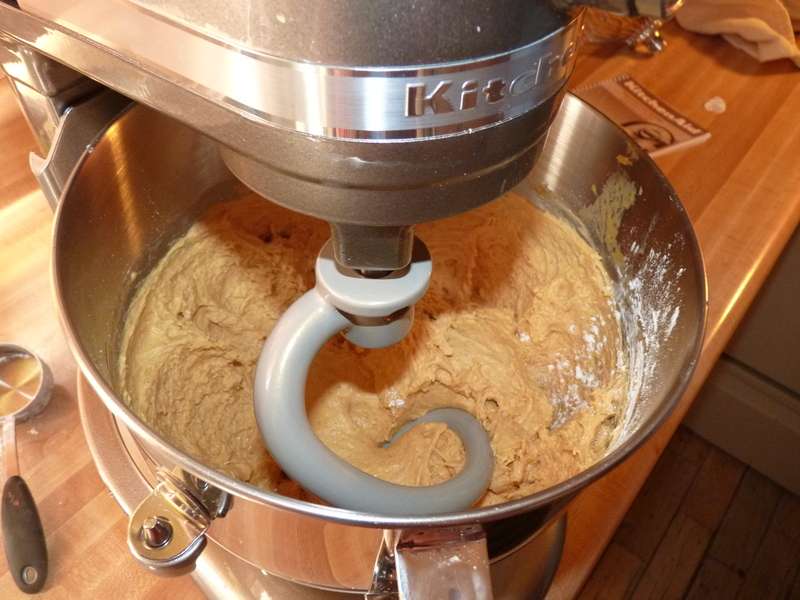 Since I have a new 7 quart KitchenAid stand mixer, I had plenty of capacity to make a double batch and I’m glad I did. 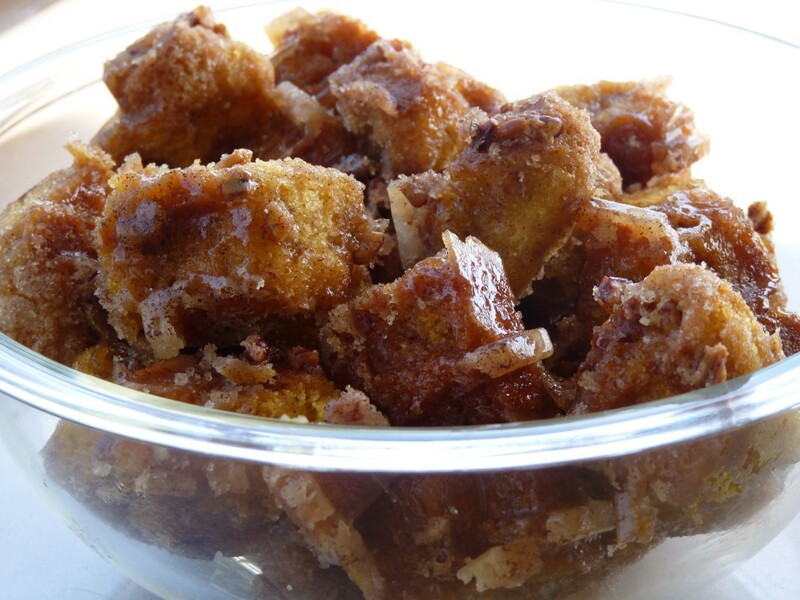 This treat was popular with everyone who tried it from family to friends to coworkers. 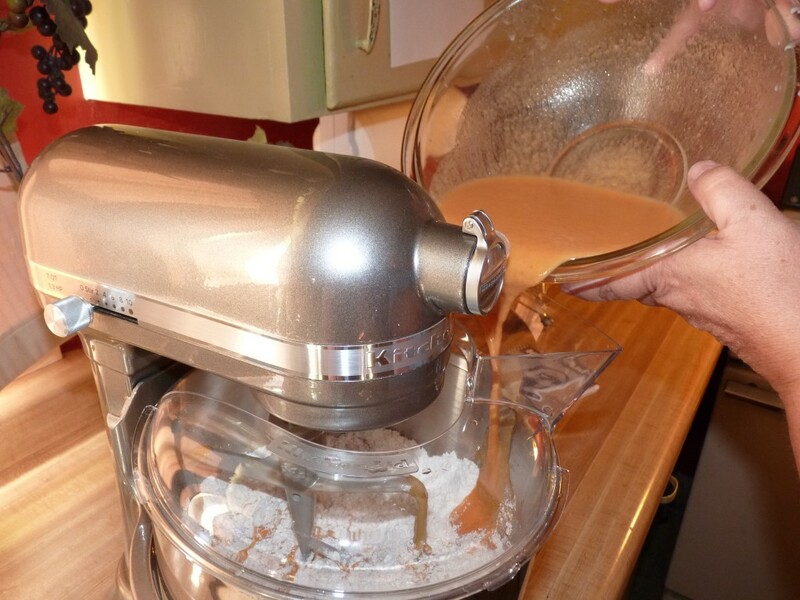 Whisk together the flour, salt, and pumpkin pie spice. 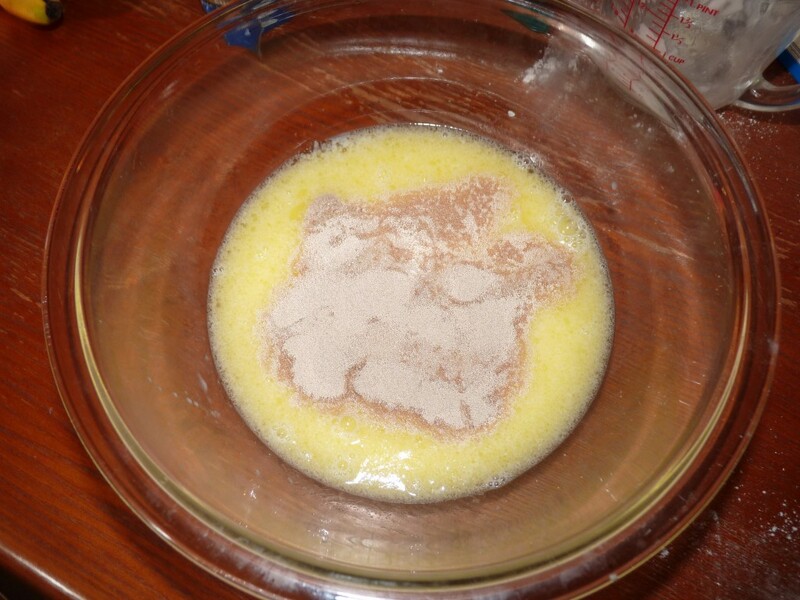 In a separate bowl, whisk together the milk, water, pumpkin, melted butter, sugar, and yeast. 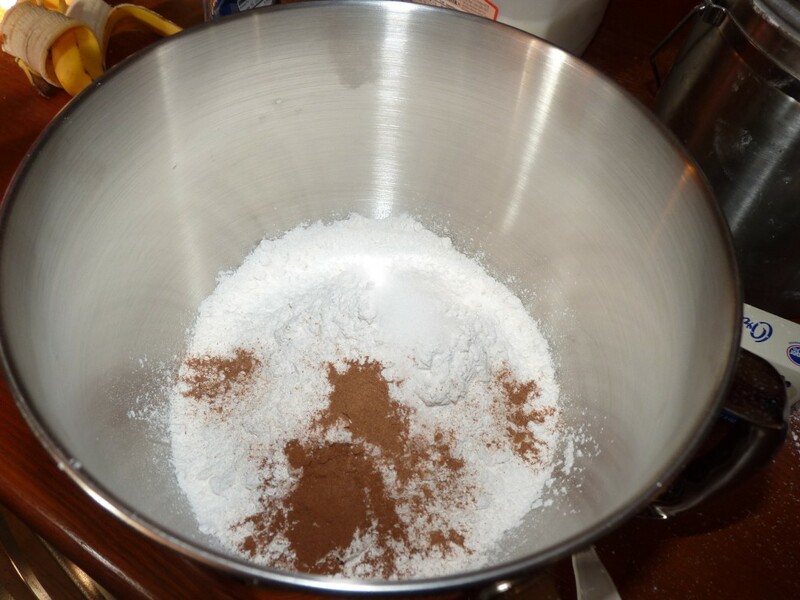 Add wet ingredient to the dry and mix together. This step was incredibly easy thanks to my KitchenAid mixer’s flat beater and pouring shield. 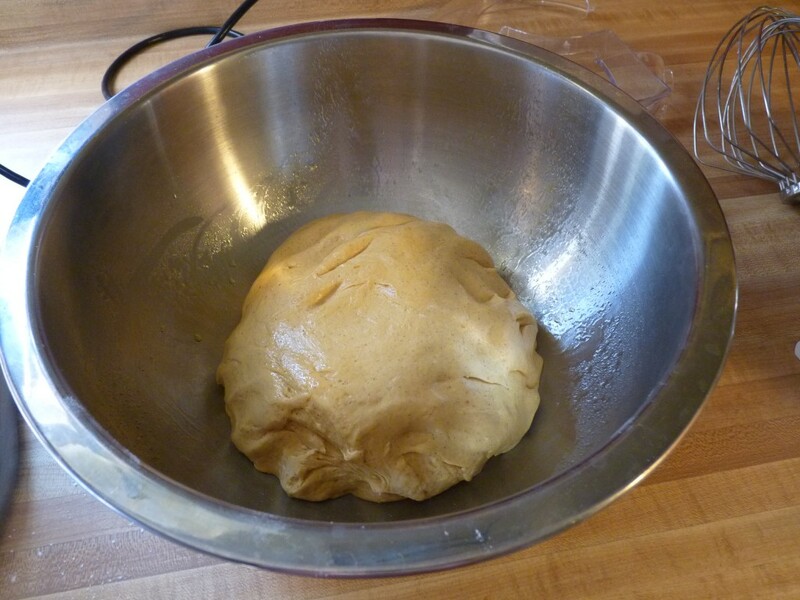 Once both wet and dry ingredients are thoroughly mixed, it’s time to knead the dough. 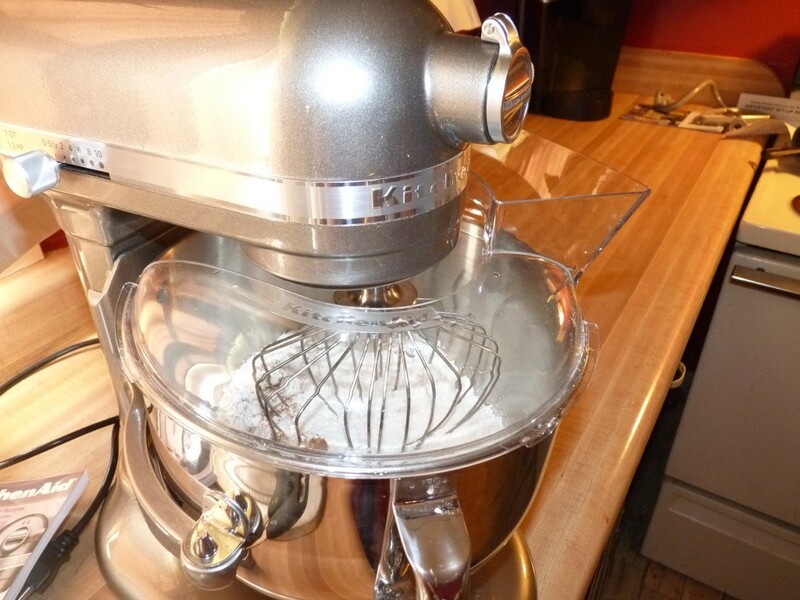 You can either turn the dough onto floured surface and knead by hand until elastic (about 8-10 minutes) or if you have a KitchenAid mixer just use the spiral dough hook attachment to do the work for you. You can guess which method I chose. Switching attachments was much easier than I anticipated and the attachments clean up very easily. I thought the flat beater would take a little time to clean after this step, but I could have easily cleaned it off with my finger and some cold water if I’d had to. It’s amazing how “non-stick” the surface of the attachments are. The dough hook is on and ready to work. 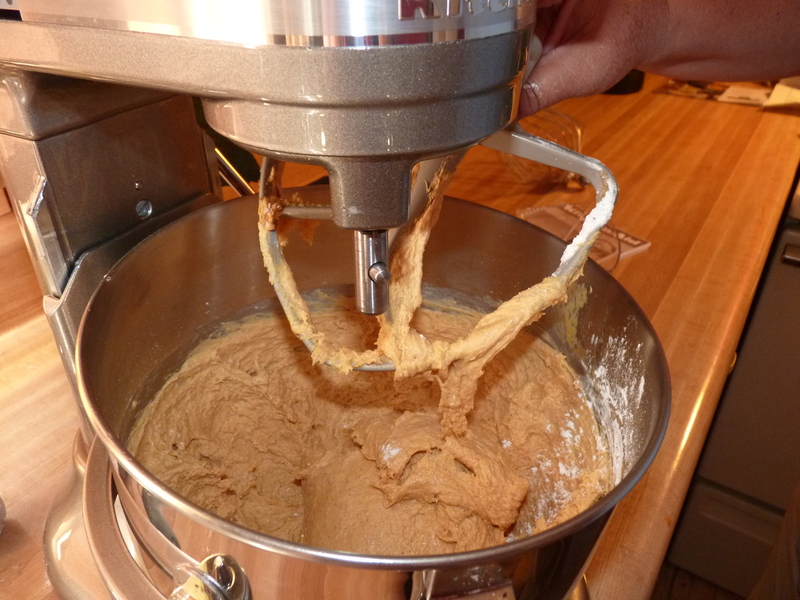 Whether kneading by hand or by mixer, keep an eye on your dough’s consistency. You’ll likely have to add flour a little at a time during the kneading process in order to get the elastic consistency that is the mark of good bread dough. 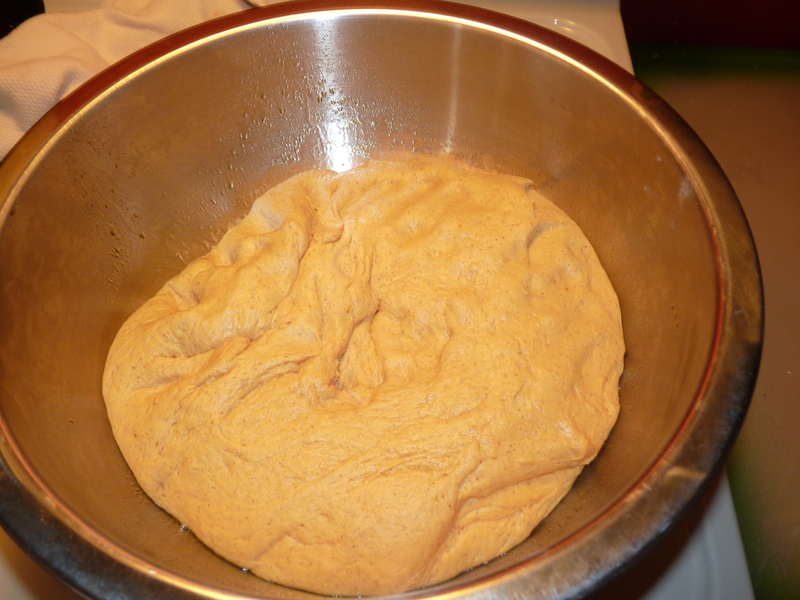 Once the dough is elastic, transfer to a bowl sprayed with cooking spray. Flip the dough over so that the top is coated and won’t dry out. Cover with a towel and allow to rise until double in size or about an hour. 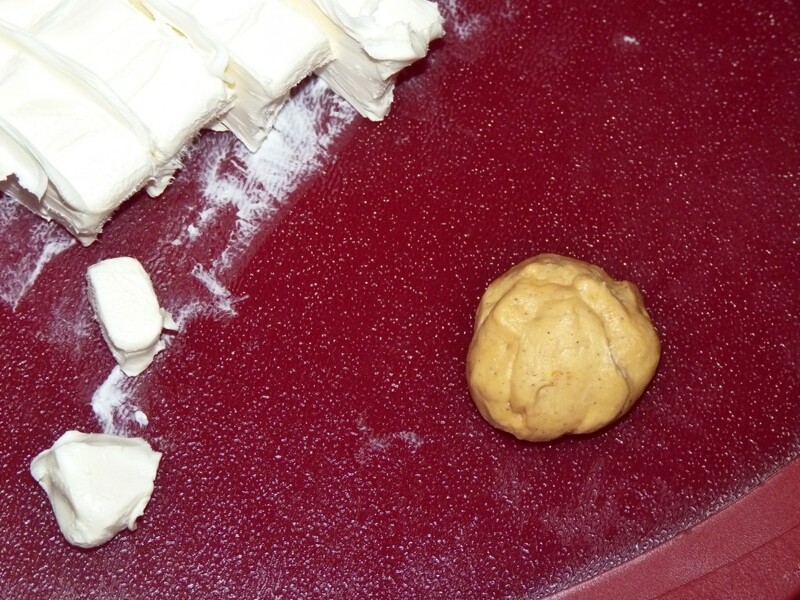 While the dough is rising you can go ahead and do a little prep work for the assembly process. 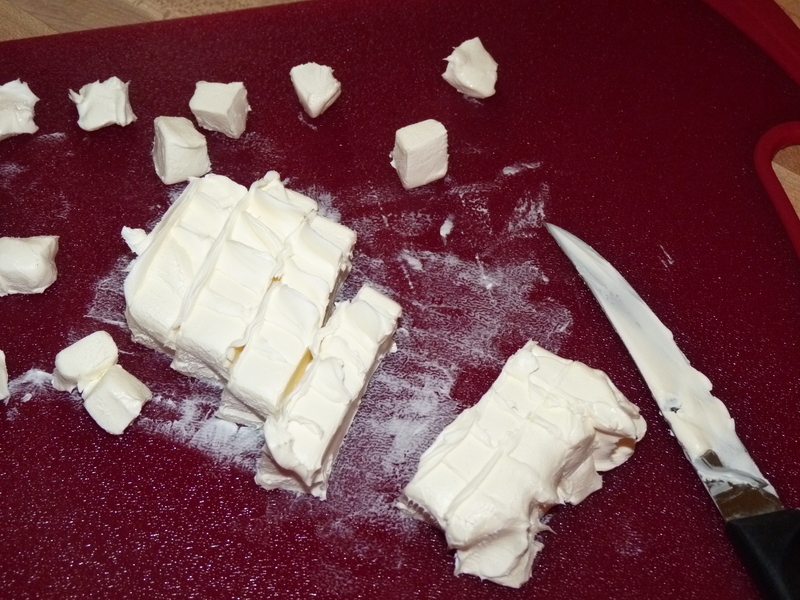 Cut a block of refrigerated cream cheese into tiny cubes. You’ll need to get 40-45 cubes out of one block so slice small. 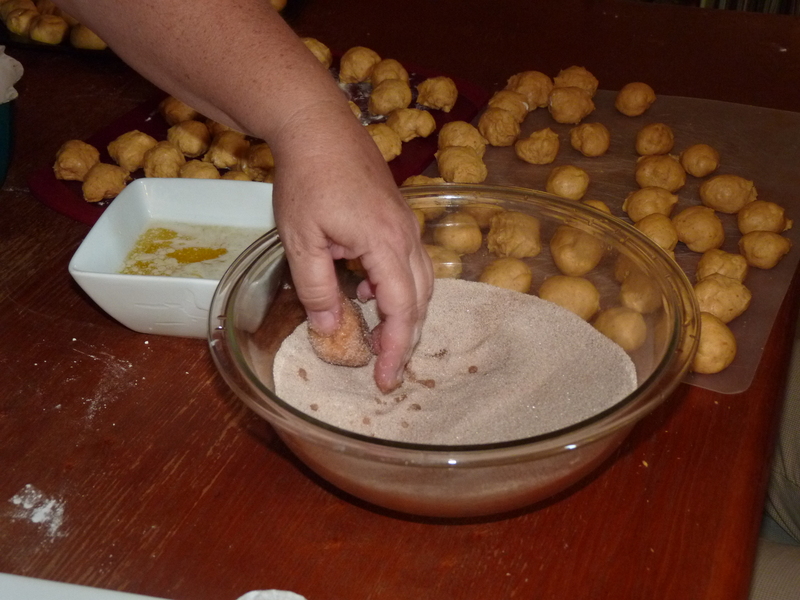 You can also melt a stick of butter and mix together the cinnamon and sugar for rolling the dough balls. 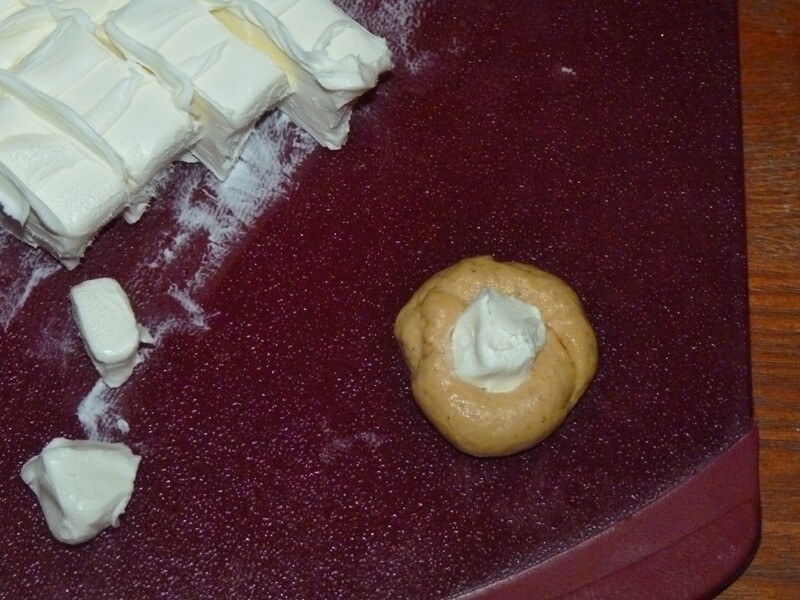 Pinch dough into balls that are 1 1/2 – 2 inches in diameter and tuck a cube of cream cheese inside. 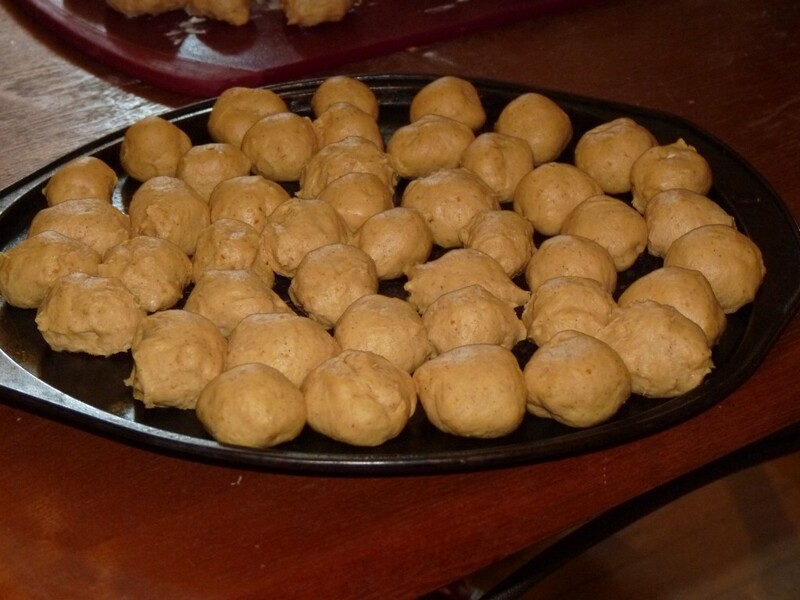 Dough balls are filled with cream cheese and ready to go! Place one layer balls in a Bundt pan that has been sprayed with cooking spray. 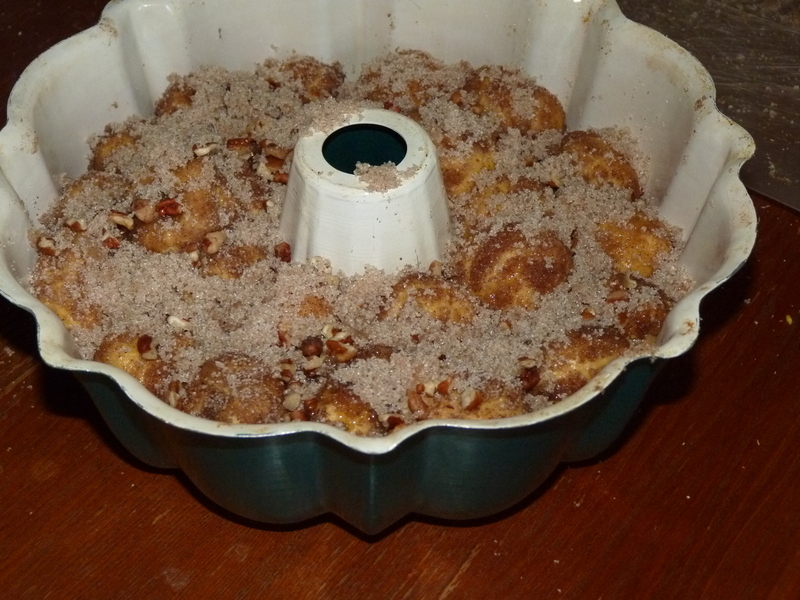 Sprinkle pecans on top then add another layers of balls. Repeat dough ball/pecan layers until Bundt pan is a little over half full. 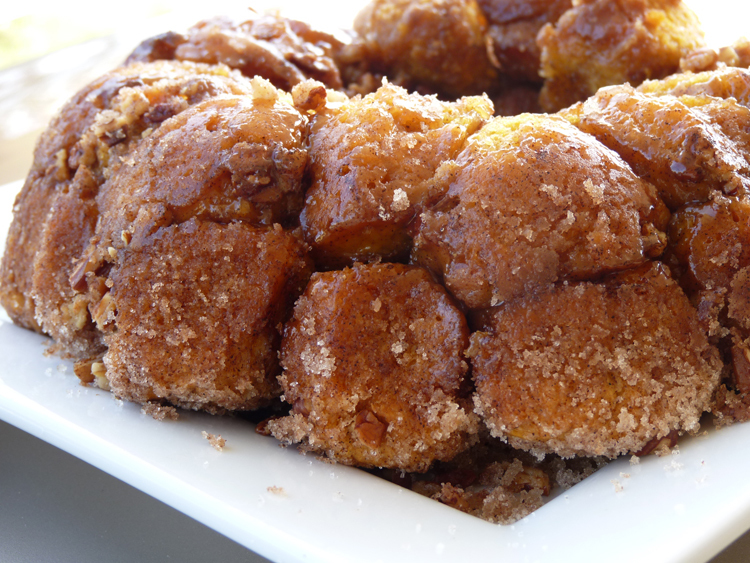 A tighter packed pan makes cake-like, sliceable monkey bread whereas a lightly packed pan (ie just laying the balls in the pan) makes for pull-apart monkey bread. That’s how I like mine. Since I didn’t tightly pack the pans, my double recipe wound up being a triple, filling three Bundt pans! No complaints about the quantity though. It was eaten up quickly. After layering is complete, sprinkle any leftover butter and cinnamon/sugar mixture on top, cover, and allow to rise again for about an hour. Once the dough has risen for the second time, bake for 30-35 minutes in a 350 degree oven. After baking, let the monkey bread cool in the pan for about 10 minutes (no longer or it will get stuck!) then flip onto a serving platter. You can sprinkle the top with powdered sugar if you like. If your bread doesn’t come out of the pan easily, just pick it apart and serve in a bowl. This works best for serving a large group anyway. Special thanks to my Aunt Katy for helping me create and photograph this recipe!